Summary: The politics of Northern Ireland are complicated and made more so by Brexit negotiations that are not taking Northern Irish concerns about the border and trade with the South. The biggest party, the DUP, has lost support over the last year both in Assembly and general (Westminster) elections. The DUP are finding their enthusiasm for Leave out of step with general opinion in Northern Ireland. Their support for a Tory party apparently insensitive to the Northern Irish concerns will stop the DUP supporting the Tories. Labour needs to rub salt in those wounds to help the Tory/DUP alliance fall apart. If you think English politics is complicated, it is much worse in Northern Ireland. For many years the view from the mainland of Northern Ireland politics is to simply to let them get on with it. It is far too complicated to understand. However, the larger Northern Ireland party, the DUP, is critical in supporting the Conservative party in Westminster. In the recent general election DUP won 10 seats and Sinn Fein won 7. For many years Sinn Fein have refused to take their seats in Westminster at least in part because to do so would require taking an oath of allegiance to the Queen. That is a step too far for them. However for many years Jeremy Corbyn and Labour has been very supportive of the Nationalist cause in Ireland. This may be the time to start calling in those debts. There is more. And election for the Northern Ireland Assembly was held on 2 March 2017. That went very badly for the DUP and rather well for Sinn Fein. They now have almost identical numbers of seats in the NI Assembly (28 versus 27). Another 35 seats are shared amongst a variety of parties. The SDLP with 12 seats, the UUP with 10 seats, the alliance party with eight seats and two seats for the Greens. The smaller parties are increasingly unhappy with the carve up of Northern Ireland politics between hard-core Protestant Unionism and hard-core nationalist sentiment. They are in a much stronger position to flex their 35 out of 90-seat muscle and this is what they are now doing. For many years the DUP had a clear majority of the votes and were able to take the position of First Minister with Sinn Fein providing the deputy First Minister. With the substantial reduction in DUP support Sinn Fein are no longer prepared to accept a DUP first Minister in Arlene Foster. She is implicated in the “cash for ash” scandal that has created a £500 million black hole in the Northern Ireland budget. Sinn Fein are particularly keen that Arlene Foster should not be restored as First Minister as she was central to the scandal. They have also made it clear that they are not prepared to go on as before and want to renegotiate. The DUP are a pretty hard right evangelical Protestant party, against gay marriage and abortion. The Unionist vote in the referendum was clearly to Leave whereas the nationalist vote was even more clearly to remain. Overall the Northern Irish vote was strongly to remain (56% against 44% to leave). No doubt a significant part of this result was because of the highly integrated economies and sociology of Northern Ireland and Eire. There are serious concerns that re-establishing a hard North-South border would have a variety of negative consequences. The harder versions of Brexit would make cross-border trade and cross-border travel very much more complicated. It would also bring back memories of the very hard border that was fought over during the Troubles, brought to an end by the Good Friday Agreement. However a version of Brexit that would let the present border function much as it does today would have major ramifications. Free movement of people beyond Northern Ireland would then have to be blocked to stop further movement into the remainder of the UK. This is something that the Unionist parties would oppose very strongly. The social and cultural ties of Northern Ireland are much more strongly and deeply felt with Scotland than they are with England. Again, any suggestion that that relationship might be harmed or blocked by the Brexit arrangements would be also very damaging to the DUP. As is traditional with Northern Ireland issues the Tories in Westminster are not taking their concerns seriously. In contrast the EU negotiators see the Northern Ireland question as being one of the most difficult they have to deal with. They have already said that the British approach to this is long on fantasy and very short on reality. For the EU the Northern Ireland issue is much more central to the Brexit negotiations than the British side seem to appreciate. There is no doubt that within Northern Ireland a very soft Brexit is just about all that would be tolerated. The British government, however, are basically telling the EU that it can do what it likes with the Irish border and they would blame the EU if the border becomes hard. As long as the British government continue to pursue a relatively hard version of Brexit then they simply cannot rely on the support of the Northern Irish. The bribe for the DUP to support the Tories of £1 billion has not yet materialised. There is increasing realisation that it’s not going to come forward any time soon and that is very concerning in Northern Ireland. The DUP in particular do not want to risk another election in Northern Ireland given that DUP support has gone down so significantly. The general political climate in Northern Ireland becomes much less extreme with support for gay marriage and abortion increasing. 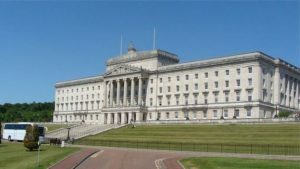 The lack of an agreement on power-sharing makes it highly likely that Westminster will assume control over the Northern Irish economy. Under the power-sharing agreement of the Good Friday agreement the Westminster government must act in an even-handed way. Given that the Tories depend critically on the DUP for support that becomes increasingly difficult to maintain. What is key, therefore, is that the DUP are currently supporting a Tory government that is pushing a version of Brexit that is likely to cause significant damage to Northern Ireland and be particularly unpopular there. It is here that Labour has an opportunity to unravel the DUP support for the Tories. By drawing attention particularly to the Tory approach to the Northern Ireland border problem they will make it clear that the DUP are supporting policies that are likely to cause further political damage to their party. Only by distancing themselves from the Tories are they likely to gain any credibility with the Northern Irish electorate. Once that happens, the Tories will find it virtually impossible to govern. Theresa May will have to resign or lead the Tories reluctantly into another general election. This is the way that Labour is currently most likely to have a chance to form the next government. For Labour concentrating on Brexit as seen from Northern Ireland problem is absolutely essential.